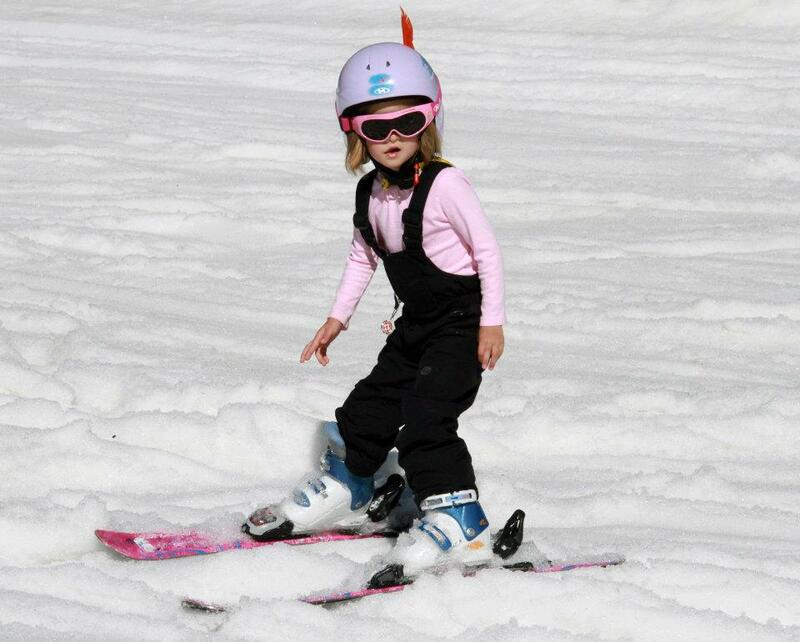 At what age can a child learn to ski or snowboard? We sat down with Mark Raymond, General Manager of Training and Quality for Vail Ski and Snowboard School, to get his take. As a father of a 5-year-old and an instructor since 1992, Mark is very familiar with what it takes to teach young ones to ski. 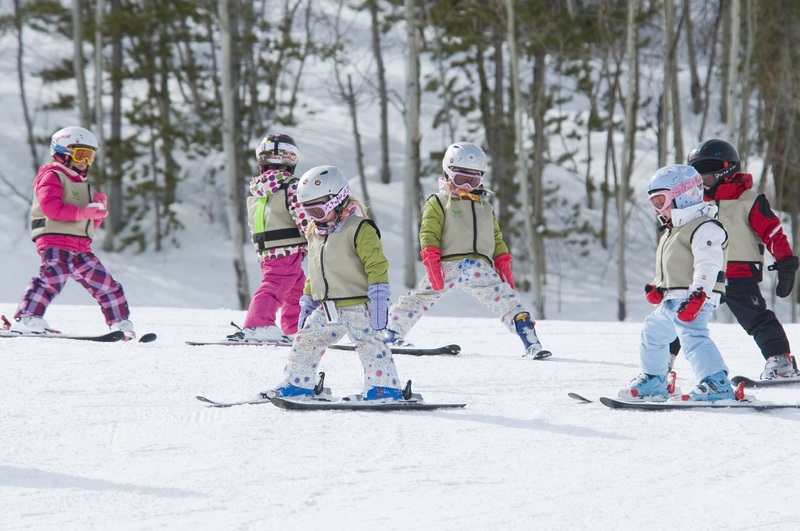 While some parents that are avid skiers will take their 1 ½ year-olds along swaddled in baby-backpacks, the rule at Vail Ski and Snowboard School is that a child must be at least 3-years-old and potty trained to be in a group lesson. These kids are placed into groups based on their ability level with other children ages 3 to 6 years old. From there, instructors will adapt the day’s schedule to the needs of the children in each class. When teaching kids “you really have to look at their cognitive ability,” says Mark. So instead of telling a four-year-old to turn left – a direction that might confuse them – instructors will use stickers, colors and props to help give children directions in a fun, low-stress atmosphere. “Ideally everyone would start at age three,” Mark says, “because at that age, kids are fearless”. Their small stature and adaptability makes the sport much easier to learn than for an adult. For the most part, teaching little ones to ski is about getting them familiar with the equipment and the feeling of gliding on snow. Once they get the feel of gliding down, they can advance to riding the chairlift. And if a child is feeling cold or hungry, instructors can bring them inside where counselors have hot cocoa, snacks and games on hand. Mark insists that even he doesn’t try to teach his 4-year-old how to ski. “It saves some hurt (feelings)…(and gives your child) the best chance of success.” Ski School classes are set up to allow kids to learn with peers of similar abilities. It also is scheduled so that parents can return in the afternoon to ski with their children, allowing kids the chance to show off what they’ve learned. With all this talk of learning to ski you might be saying, “Wait, but I want my kid to snowboard!” While there are programs like Burton’s Riglet Park that teach 3-5 year olds to snowboard, Mark notes that most kids have trouble getting the mechanics of standing sideways down before age 5. The challenge for three and four-year-olds is that they almost universally carry their center of gravity in their heads rather than in their core, making the effort of snowboarding a wobbly endeavor. That said, there are instructors and equipment available to help children three and up to play on the snow any way they choose. Now that you know the professional’s recommendation, we’d like to know at what age you learned to ski or ride! Here are a few responses from Vail Facebook fans below – what’s your story? To arrange your next lesson, visit the Vail Ski and Snowboard School. Michael: Skis at age 5 and first Board at age 12, I’m 30 now with no sign of stopping; and moving to Vail this Fall! Hansi: At 5 the best thing I ever learned in life!!!!!!!! Andrea: Mom skied with me when she was pregnant, first winter (6 months) mom carried me in a pack, 18 months skied by myself and was taught mom and dad at grandma’s resort (Ski Green Valley), Snowboard at 23 and now an instructor myself. Morrie Shepard: I was 18 months old, in 1955, Aspen where dad was an instructor. That was before he became the first ski school director of Vail in 1962. That makes 57 years.